The Lab NYC is Mixmag and WAV's weekly live stream and post-work unwind, powered by Void Acoustics, where we showcase the finest DJs direct from our Brooklyn office. This Thursday, November 15, we invite the buzzing talent Octo Octa for a DJ set showcasing her raw dancefloor power. New Hampshire-based DJ and producer Octo Octa has established herself as one of underground dance music's most in-demand talents with a vibrant sound profile that touches on jacking forms of house, techno and breakbeat. In recent years her output has surged with EPs released on a collection of acclaimed imprints, including Running Back, Love Notes, Frendzone!, 100% Silk, Argot, HNYTRX and Skylax. Her most recent release, the 'Devotion' EP, a collaboration with Eris Drew released via the Naive label, has been getting rave reviews and she continues to gain more momentum. Octo Octa has performed at some of the world's most renowned nightclubs, such as De School, Panorama Bar at Berghain, Tresor, Good Room and more, which makes her performance in The Lab NYC highly anticipated. To gain entry to The Lab NYC, patrons must be signed up to WAV. All you have to do is visit wav.mixmag.net to download the app. We'll see you on the dancefloor! 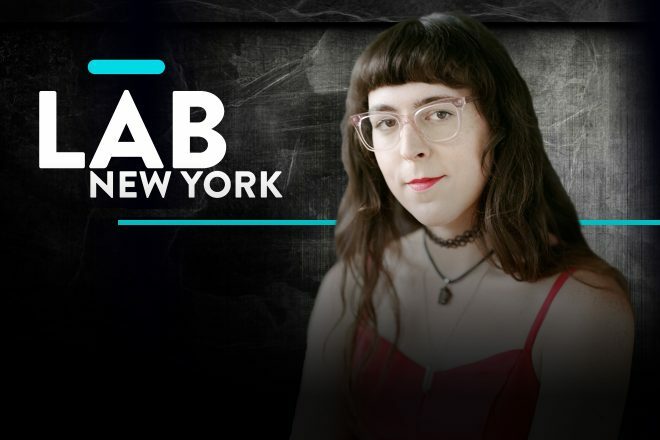 Subscribe to Mixmag TV and follow Mixmag on Facebook to watch Octo Octa in The Lab NYC below.